Asus has now provided Google Lens integration within its PixelMaster Camera app to bring an advanced visual experience on ZenFone models. The new move comes weeks after Google expanded the presence of Google Lens by bringing it within the camera apps of vendors including Asus, BQ, HMD Global/ Nokia, LG, Motorola, OnePlus, Sony, TCL, Transsion, and Xiaomi. The artificial intelligence (AI) based visual assistance initially made its way to the OnePlus 6 and Sony Xperia XZ2 as well as the Xperia XZ2 Compact. At I/O 2018, the search giant showcased a bunch of new Google Lens features that include a smart text selection functionality as well as real-time detection. The assistance that was originally available under the Google app also recently received a standalone app to give direct access to its advanced features. As reported by folks at Android Police, the Asus PixelMaster Camera app has now added a Google Lens option under the camera modes section. The option was spotted on the ZenFone 5 after it had received a firmware update. The update notably upgrades the camera app to version 4.1.12.2_180604M. However, the Google Play listing of the app doesn’t show any new upgrade. It is unclear whether Google Lens is also heading to other ZenFone 5 models, such as the ZenFone 5Zand ZenFone 5 Lite. Being one of the partners for the initial expansion of Google Lens, Asus may also bring the new experience to older ZenFone models. 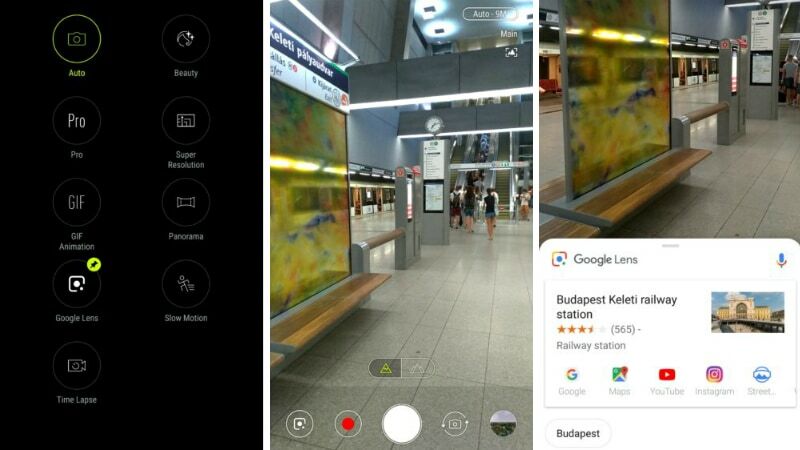 Users who have received the new update can start exploring the world in a new way by going to the camera modes and selecting the Google Lens option. The newest integration offers contextual suggestions for objects you scan with the camera. Moreover, it combines search, AI, augmented reality (AR), and computer vision to deliver smarter results. Earlier this month, Google Lens received a standalone app on Android to provide direct access to the original Lens experience. The app is available for download via Google Play, but it is compatible with select handsets at the initial stage. Google also recently broaden the availability of smart text selection and real-time detection to uplift the original visual assistance experience.